This essay will confirm that the prophecy Veil was removed decoding [Time-Times-½Time] to predict the judgment date of God’s Wrath. Christians who deny these five (5) witnesses will miss the boat like Noah’s relatives. Historically five calendars still exist that are used in science: Julian, Gregorian, Hebrew, Aztec, and bronze-gold clocks recently discovered in museums that revealed ancient calendars. However, five more witnesses are linked to divine Revelation of the Torah-Bible. Calendars differ in math physics using a base -60, -10, -7 and -2 (computer binary) system which need a divine key to unlock ancient Torah-Bible prophecies. They can only be revealed, as knowledge measuring time is not the same among global nations. However all world calendars now consolidated and intersect on a solstice 21 December 2012. Thus all became synchronized with the Hebrew Moon Holy Days calendar when the earth axis wobbles stopped moving. Let’s research the mystery bridge that links ancient calendars together as proven on a forbidden metaphysical level. A Hebrew calendar is structured by a base-7 system as revealed in Daniel 12:7, 7:25 and Revelation 12:14. It is a mystery code [Time-Times-½Time] now finally cracked by studying the many Bible prophecies matching Jewish holidays. It was even linked to the first (2014) and last Tetra Blood Moons (2015) as an additional proof. In ancient times, Time was measured differently around the world resembling four temperature scales still used in science. These various calendars measure earth axis wobbles not allowed in atheistic universities, but they need a key to unlock prophecy to correlate calendars built on different math systems. Daniel and John both tell of a [Time-Times-½Time] code that is the chronological order (1+2+½=3½) of how future prophecy events will unfold. It is embedded in a creation 7000-year cycle Hebrew system and tells how various calendars match a divine Torah-Bible calendar as transposed to our modern calendar. It is embedded in a diverse earth axis wobble counting systems used by various cultures and nations in antiquity. Thus, prophecy comes in different scales like mirror image Babushka concept eggs 3500 cycles to 3½ years converted to 42 month or1260 days, 3½ days to 3 hrs darkness on the cross of Jesus linked to ½ hr silence in heaven, always totaled (3½), depending which scale. For example, many theologians mistranslated countless Bible references like Daniel 12, which describes the End of Time (3018 AD-JC). It is the last Apocalypse, as Satan will rebel again, mirror imaged in the Hebrew year 6777. He appeared for the last timeout to erect the “abomination that makes desolate” in the Ezekiel Temple that causes the final rebellion on earth. It is the last test for God’s Kingdom on earth, which got corrupt, too. That will be the worst time ever prophesied by Jesus. The Torah-Bible has a base -7 math system defined by the Hebrew Alphabet Number System (HANS) embedded in Genesis. It was structured to calculate solstice year cycles similar to the Aztec clock and Genesis patriarch age calendar dated before Noah (2288 BC). But before Noah’s global Flood the earth axis tilt was different because the earth axis shifted due to an asteroid strike on 5 February 2287 BC. On YouTube we all noticed that theologians cannot be trusted to date prophecy because they are not well educated in science. But if you study a little ancient history and mystery clocks found in museums as decoded in Babushka concept eggs, you will widen knowledge horizons forbidden in universities thus ignored in most churches believing their lies and unscientific deceptions. But why not have fun by investigating the Bible and making a few assumptions based on logic. You be the judge. The Hebrew metaphysical domain consists of the heavenly Heh dimension (Angel world) and Earth [Genesis 1:1], which is the Daleth dimension as the earth is similar to an incubator for Mortals. The coming Jod dimension is linked to the New Heaven & New Earth. Only the Creator ELOHIM knows when the Time Dimension will become obsolete. [Matt. 24:35] Yeshua-Jesus uses a family father-son relationship we all are familiar to avoid uncertainty to better comprehend an infinite God shrouded in mortally linked to divine events. 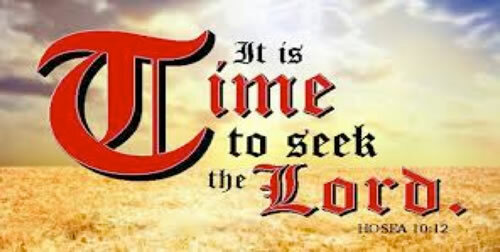 Many confused theologians repeat and misinterpreted that “no one knows the time” which should not be applied to the Apocalypse, if you can read what Yeshua-Jesus said. Hence, let’s consider a little math. We have three (3) dimensions between Heh & Jod in center a Daleth Time dimension because we mortals are subjected to calendars and clocks, still a paradox mystery. Correcting Hebrew Calendar mistakes takes a little time and if curious read a number of Babushka concept eggs like Pearl #264. The Daleth Prophecy calendar of 7000 cycles is divided by (3) three calendar domains recorded in a mystery code by Daniel about 588 BC and John 96 AD. = [1xT] + [2xT] + [½ x T]. Like different temperature scales, Daniel (588 BC-JC) described a flexible prophecy code aligned to various calendars appearing in the future and measured a moving earth axis across 4300 years. Perhaps he had knowledge of the bronze Antikythera clock stored in the Athens museum? That clock demonstrated the stretching of time when the last earth axis wobble slowed down and stopped on the 21 December 2012. John in heaven described what he saw dating month and days. Do not assume that our 24-hour day is the same as in ancient times. It has gotten exponentially longer. Also, do not think that clocks in heaven are the same as on earth. It needed a prophecy pattern like a smaller Babushka egg fits into another. Daniel’s time pattern (1st Witness) matched 7000 years scaled by the 2nd Witness of 7 years being equal to 1000. The one year or day calculated math-ratio = R embedded in the Daniel’s code. The pattern is continued (Rev.11:3) 42 month-egg to a 1260 day-egg (Rev. 12:6) defining the End-time with ½ egg-scale, which confused theologians not accepting the dating of the Apocalypse from a science perspective. Let’s prove it with Witness #1-7000-year, will verify W-#2 of 7 years, which are the Apocalypse birth pangs of 2008-2015. Then W-#3 is divided into 42 month-egg in an expanding math pattern, but notice that the month-period is now longer @ 2012 measured in a corrected prophecy calendar ratio. Explained later, Witness #4 matched two years after 2015 solstice getting smaller with [½T] day-egg of 70 days (1260-1330) to an (3) hour egg on earth and in heaven one hr. to a ½ hr. silence “all” is linked to Yeshua-Jesus sitting on a Throne. Daniels time pattern is ending a final date which is the Main-Witness #5 dating Passover 5777 (11 April 2017). Starting with Witness #1: [2xT] is the middle of the Julian calendar. In 2288 BC Noah’s reported God’s Wrath as an asteroid impact now dated from the solstice after 47 days (Gen. 7:11- 5 February) 2287.8740 BC (JC). However, what is not known is 1:T a Genesis patriarch calendar [G] before Noah’s Flood 2288 BC and the “Creation” seven-day cycles [C] before 4004 BC. Though ignored by theologians, it was used in the Gospel that recorded the genealogy of Jesus from Adam & Eve. It should be linked to documented science in a fascinating research collection of important rulers and kings across mankind dated since 4004 BC (JC). (Wall Chart of World History, Professor Edward Hull, MA. LLD. FRS.) Amazing that chart folded in a large book is 14 feet long of very detailed history facts of a thousand kings and rulers worth the money. ½:T (S?) 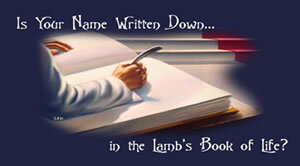 is a Sabbath rest of God’s Kingdom on Earth completing a 7000 yr. prophecy calendar. Using a little math logic can crack a Bible code. The center (T-2) works like a teeter-totter balance. If we use another date it will move the other side out of balance, thus the (3) positions cannot be off by one day (@ 4300 years) to prove in math the divine prophecy mystery code. It established the Bible code of [Time - Times - ½Time] for 7000 Hebrew Prophecy years dating the Apocalypse birth pangs and God’s Wrath to an exact day. The probability for matching a future day with ten zeros in (3) three math fractions is a billion times! It confirmed many museum mystery clocks exactly in math linked to ancient artifacts become a second witness of a future day! Let’s try another example for the skeptic and use some logic, because if the premises is wrong will not conclude it right. The Hebrew code [Time-Times-½Time] will point out when one side changes the other will too messing up the balance equation which function like cuckoo on a German clock. Many theologians assume projecting a seven (7) year Apocalypse always postulated tomorrow. Being falsely labeled not having five witnesses let’s use their seven years on T:2 and give it the same test, which will prove that they are wrong and confused in prophecy. We established a calendar multiplied with a ratio giving us a digit number after the dot only zeros = (4000.00000) which logically could be assumed right. Let’s see what happens when T:2 is added to the (7) seven phony years for theologians to be happy to make more money in prophecy summits. Let’s see how the baby is divided by the King Solomon method to find the truth with logic. Again we need to know and match the prophecy calendar ratio (R) of 7000 cycles divided in the 7540.103025 which is a ratio R = 0.9283692781 to match the Hebrew Bible math but watch the fractions, too. With just seven (7) years difference, it will not match the established Bible code of [Time-Times-½Time]. Thus the 7000 Hebrew Prophecy years encoded the Apocalypse birth pangs and Yeshua’s coming in the sky exactly dated to a day 11 April 2017 shown in the last witness examples. The probability of having used a future day being only zero digits in (3) math fractions is a billion times. It confirmed exactly in simple math dividing the first witness to the second of a future day but determined the real baby with Solomon’s technique! To calculate the unknown End time years of (S) let’s apply the last sequence of the prophecy calendar still future matching Rev. 20:7. Amazingly, it confirms Tx2 to a day. To find the Genesis calendar (G) 2288 BC-4004 BC count from 5777 and add 120 Jubilees (120x50), but notice, before Noah a conventional solstice year cycles is relative as the earth axis calendar changed to one grand-solstice @ 360 days multiplied by (7) solstice turns. It is confirmed by applying DNA genes-science to the Genesis Ages like Methuselah could not possible live 969 (JC) years. Thus 1:T (C+G) = 2152.31515 evaluated ancient Aztec clocks to a Genesis patriarchs calendar. (G) = (4004 BC- 2288 BC) = 1716 (JC). Now we could determine 2152 - 1716 = (C) 436 solstices. But it needed a Babushka correction +35 yr in the 9th cycle BC-AD*. The 4th Creation Day will start = 436 + 35 = 471 [JC]. Thus added together C plus G = (471+1716) = 2187 and (2288 BC+2187) = 4475 BC (JC). The 7000-year Hebrew calendar was formerly dated 4488 BC (JC). The difference (4488-4475 BC) was off by13 years thus must be calculated divided by (7) seven [G] Julius years cycles = 1.8. An exponentially declining earth axis wobble will always have fraction. Why does NASA ignore it, thus difficult for me not having access to an adequate computer? Their scientists recently calculated earth axis movements with G.R.A.C.E satellites and measured 14 hours @ 2006, but do not know why? Atheistic scientists postulated BCE-CE to be (JC) 2 BC, 4 BC or 6 BC trusting in fairy tales. I accept Bible truth counting “zero” (-1.8 JC), which is more logical. It confirmed an unscientific dating scheme of biased atheistic university theories and remedied a Hebrew civil calendar too, being off by (2) two years. That adjustment matches the correction of the wrong date (586 BC) for the first Temple destruction, which should be 588 BC. It screwed up my Babushka Pearl #251 and rectifying the date 5 February 2015 date having looked back from the solstice instead of looking forward to perhaps 11 February 2017. Believing Jesus should watch the day or hour within one year as the Prophecy Date 1 Tishri 5777 (3 October 2016) will start God’s Wrath using science data, but I wondered if the Jonah-II warning is at the beginning or end of that year? A specific prophecy “ON THAT DAY” was stated 70 times by four Major OT Prophets, described in the 11th Babushka egg concept book not investigated in the Christian church. The seven creation period cycles were split and divided into six days; the first 3 creation days have no time base. But plants and prolific vegetation first grew with infinite light cascaded to visible entropy light recorded in Gen. 1:3. To measure time the earth was moved on the 4th creation day within the Milky Way galaxy aligned to a sun-moon orbit. Thus it started a Time dimension only on earth as Adam appeared before 4004 BC. Time historically was measured by ancient clocks exhibited in many museums, now replaced with atom clocks measured in Femtosecond linked to earth axis wobbles observing solstice, now light years measured recently in science experiments 300 times faster? Why trust in an evolution religion presenting unscientific data facts in National Geographic Magazine, NOVA TV movies and NASA technology manufacturing deceptive fake science videos in Hollywood studios. My projection conclusion is that the new prophecy code will start “after” Yeshua’s Return now dated right [1 Tishri 5777] became the fourth and fifth witnesses in a court of law. But the final proof is still linked to what Yeshua foretold. His final date of God’s Kingdom must arrive on a “corrected” Hebrew calendar matching literal Moses holidays across nearly 13 moons settled in one solstice. Thus previously, when scholars calculated every 3 years and inserted an extra 30 days added in one year, they should instead have balanced 10-10-10 days after 21 December 2012 solstice. Thus when the Second Adar month was inserted after the 2015 (5776), it over-counted 20 days becoming a credit projecting to end on 21 September 2017 (Hebrew 5777). The “fourth witness” is the Hebrew year from 1 Tishri 5777 [3 October 2016] and counting 353 days to 1 Tishri 5778 excluding 10 days credit to link us to the famous Fourth Tetra Blood Moon [28 September 2015]. Add back the credit time of 10 days toward 21 September 2017 (1 Tishri 5778). Subtract 353 days from it with the overcharge (-20) = 333 (353-20) and apply the prophecy formula (1T+2T+½T) = 3½ to arrive at the final date. Now notice 333 is divided by 3.5 then 2T=190.2857142 days. Convert (6) six months and 7.8 days and count from Hebrew calendar - 3 October 2016. Then 6 months later will take you to 3 April 2017 + 7.8 days equals Passover 11 April 2017, another Babushka Mini-Egg to widen knowledge horizons. For the final and fifth witness to have a case in court could be linked to the First Tetra Blood Moon [15 April 2014] Passover as Rev. 11:2-3 linked to a Ratio 3.5 stated 1260 days or 42 month which converted with normal science matched the code Time -Times -½Time. But the text clearly shows that ½:T is future, a coming asteroid linked to the Great Day of the Lord, hence adding three (3) years 2014-2017 (1T+2T=3) will confirm the Passover 5777 date [11 April 2017] to a day. The events of the Third Woe are posted by the 7th Trumpet [v. 15], which is (½:T) after Passover matching prophecy next Rosh Hashanah. The prophecy date 1 Tishri 5777-5778 is confirmed by five witnesses foretold and approved by Yeshua-Jesus, otherwise brand him a liar based on falsified dogmas taught by many theologians. The date matched the United Nations resolution #181 in 21 November 1947 linked to the Hebrew Alphabet Number System added to many ancient bronze-gold clocks in museums. Now is harmonized in one Calendar on the last earth axis wobble, which stopped on 21 December 2012. Together they determined a Date for the biggest event in the Sky. It is really beyond my comprehension why anyone ignores the YouTube videos showing the massive numbers of dead fish and enormous sea-critters, most insect’s, and birds. All disappeared in a “Silent Spring” like pollinating honeybees cannot digest GMO that poisoned nectar, and most animal species affecting Nature to become extinct. Worse worldwide food seeds no longer germinate being permanently damaged by GMO technology. All destroyed by printed fiat money. Once more an Evil society is destroying an unforgiving nature worldwide causing a poisoned environment to collapse into total Life annihilation. This Civilization became absolutely wicked, like Sodom and Gomorrah, now judged with fire (not atom bombs) ignoring Bible history. The New World Order will experience the same kind of disaster like Noah’s time. Check IDA with orbiting asteroid DACTYL projected on the NASA website. According to physics it will be sucked into the earth by magnetic-gravity being smaller in size separated from the mother ship and hope will not crash, too. A) Two asteroids (First 2288 BC-Second Dactyl Tishri 5777-5778) impacting an earth axis will have (3) different wobble calendars. Only the middle is known Julian-Gregorian. (2xT) “if” the preset Hebrew calendar date is matching the corrected divine moon holidays linked to the Hebrew Alphabet Number System (HANS). B) The 1000 years (½ x T) prophesied by the angels recorded in Rev. 20:7 has no fraction in my calculation, thus it proves without a doubt that the rubber band time of the other cycles, which also have no fractions, is correct. It confirms the Hebrew base-seven system verified by the Genesis math of the Patriarch age calendar and HANS.. Free on the Web Babushka Egg concept book #1) Apocalypse 2008-2015 - God’s Plan for Humanity. C) The before 2288 BC Noah calendar projections (1xT) were postulated correctly in my many pearls and spread throughout 14 Babushka egg concept books proving that the Hebrew calendar wobble solstice years were dated incorrectly, as time is not constant as measured today with an 365.24 day earth-sun orbit and a fixed axis of 23.5°. Accept only prophecy assumptions linked to true science without math fractions. Thus, it confirms that clock gears mesh to zero (Tx2 = 4000.0000000…) without fractions, as one tooth “off” will mess-up an Apocalypse cuckoo gear designed to date the Apocalypse birth pangs 2008-2015 watch 12 O’clock to end Evil destroying our civilization, after 5777. D) The seven creation-day cycles previously assumed in Babushka eggs thus are correct. Hence, I am confident you and I will lose guaranteed our mortal bodies in 1½ years [JC]. Yeshua mentioned the day and hours akin to 24-hour time zone sets a day but the final hour is over Jerusalem. Observe the sky and pay attention what Yeshua-Jesus said, “Watch.” The Lord Yeshua–Jesus will return to start his Kingdom, now dated with science on 14 April 2017, which confirmed “HIS” divine dating linked to a Torah-Bible mystery key [1T+2T+½T] and hope you read John 3:16 to be convinced. The Lord Yeshua–Jesus will return now dated with science on 14 April 2017, which confirmed HIS divine dating linked to a Torah-Bible mystery key [1T+2T+½T] and hope you read John 3:16.